Custom design usually starts with a consultation with Joel, owner and founder. The process can take between 30 minutes to an hour, depending on how well developed your ideas are. Typically, this is the time where Joel will listen to your ideas and needs, discuss your options, discuss the stones and metal you would like to use, and provide you with a cost and time estimate for manufacturing your one-of-a-kind piece. 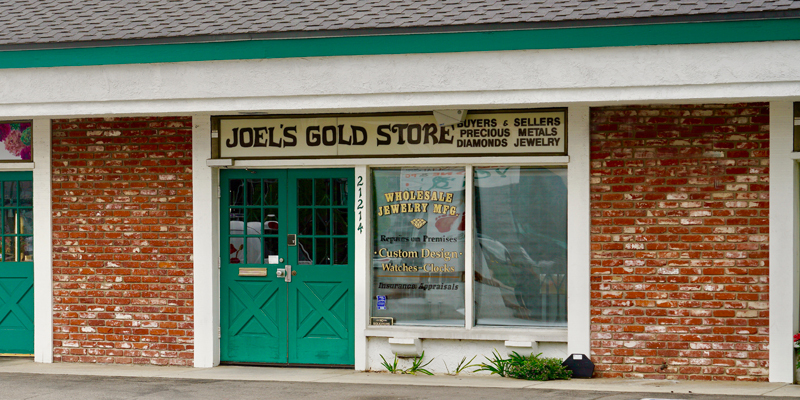 Joel’s Fine Jewelry is the San Fernando Valley’s home for jewelry. We will buy it for CASH or CREDIT toward new jewelry. Joel’s Fine Jewelry prepares appraisal documents for insurance purposes. Your jewelry appraisal will have accurate measurements of each stone, as well as a complete description of each item. A full-color photo is included with the documentation. Items are listed at current retail price and should be updated periodically. What should you do if you have an insurance claim such as a loss, theft, mysterious disappearance, or chipped gemstone? Joel’s Fine Jewelry offers insurance replacement services. First, contact your insurance agent and let them know about your loss, and that you would like to have your item(s) replaced at Joel’s Fine Jewelry. Joel will work closely with you and your insurance agent to find the best replacement item available. Once approved, you will absolutely have a final say in the completion process and choosing your replacement item. We are here to make sure you receive the best replacement available. In many cases, you may even be able to pick out something entirely new or upgrade. Joel’s Fine Jewelry works with most insurance companies. At Joel’s Fine Jewelry, we take the greatest care to ensure your jewelry is protected. So, we are happy to clean and inspect your jewelry free of charge. Since its establishment in 1977, Joel’s Fine Jewelry has been the San Fernando Valley’s premier full-service and custom jewelry store. At Joel’s Fine Jewelry you will have a personable one-on-one experience and witness elegance and sophistication second to none. If you would like to learn more about our services at Joel’s Fine Jewelry, please conact us.